Wolves are set to complete the loan signing of Chelsea striker Tammy Abraham early next week, according to Telegraph journalist John Percy. Percy, who is a Midlands football reporter for the national newspaper, reported on his personal Twitter account on Saturday that the move was set to go through pending clearance from FIFA. 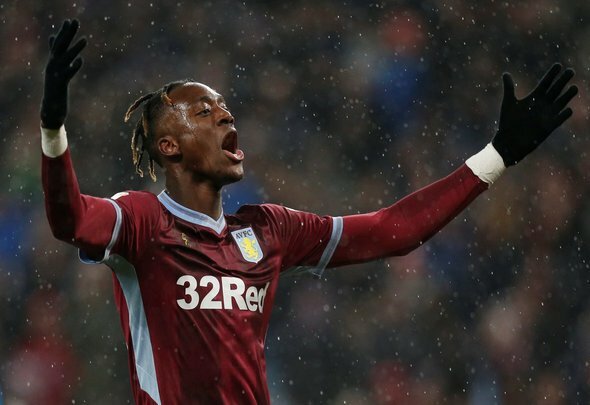 It is said that both the FA and the Premier League have green-lighted the move, with Abraham set to cut short his loan spell at Aston Villa to join the Premier League club. Abraham has been on fire for Midlands rivals Villa in the Championship this season, scoring 16 goals in all competitions for Dean Smith’s side. The 21-year-old striker has never hidden his ambition to make it as a Premier League striker, and would be getting a huge chance to impress at Molineux for a Wolves side who have settled into Premier League life so well. Wolves have been in need of a regular goalscorer despite their brilliant start to the season, and this looks like a move which suits all parties. After rumours that Wolves had bid £18million to take Abraham permanently this month, it was reported in the past day or so that Chelsea had no intention of letting their striker leave for good. This loan move looks to be the likeliest option, and with Percy a reliable source, this one does look likely to go through.